Pennsylvania abortion rates are declining. In 2012, there were 34,536 abortions — nearly five percent fewer than the year before. Most abortions in Pennsylvania are performed on unmarried women (89 percent). The decline is unequivocally attributed to them. Yet according to the Centers for Disease Control and Prevention, the national keeper of vital statistics, it is also true that fewer young, unmarried women are having babies. Public opinion is leaning more pro-life, especially among young people. In May 2013, a Gallup poll revealed that 48 percent of Americans identify themselves as pro-life and 67 percent of people age 18-34 believe abortion should only be legal in a few circumstances or illegal in all circumstances. I would argue that these statistics indicate an increasing number of young women are exercising their right to make choices that are life affirming. More pro-life people mean more pro-life decisions, right? But not everyone credits the free-will choices of women for the declining abortion rate. A recent New York Times headline read “Access to Abortion Falling as States Pass Restrictions” (January 3, 2014). The article explains many new state regulations went into effect last year, including late-term abortion bans, doctor and clinic regulations, limits on medication-induced abortions and bans on insurance coverage of abortion. Clinics unwilling to raise their standards may close their doors, and taxpayer supported insurance policies for the previously uninsured will not cover elective abortions. The president of Planned Parenthood Federation of America, Cecile Richards, used the word “catastrophe” to describe the impact of these restrictions on women. She does not describe what harm she expects will come to women. I wonder if she really means catastrophe for Planned Parenthood’s bottom line. The nation’s largest abortion provider reported (in 2011-2012) $87.4 million in excess revenues over expenses in 2012. Are tougher laws and stricter standards the reason fewer women are choosing abortion? Maybe. But what if it is the other way around? What if abortion restrictions are succeeding in state legislatures because more people think abortion is the wrong choice? If we are grounded in faith, we can see God’s hand in these statistics. We derive hope and encouragement in fewer abortions; but we cannot dismiss the 34,536 lives that were lost. We cannot rest until no woman feels that abortion is her only choice. Visit www.pacatholic.org to join the Catholic Advocacy Network and add your voice to others speaking in support of the dignity of life. 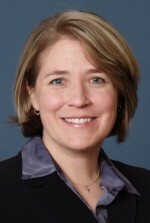 Hill is communications director of the Pennsylvania Catholic Conference – the public affairs agency of Pennsylvania’s Catholic bishops and the Catholic dioceses of Pennsylvania. Stay up-to-date with Catholic news and issues at www.pacatholic.org, www.facebook.com/pacatholic, and www.twitter.com/pacatholic.